If you’ve got a tight travel budget or you’re just looking to fun activities that don’t break the bank, it’s easy to worry that you’re going to be stuck at home all summer trying to keep the kids busy. 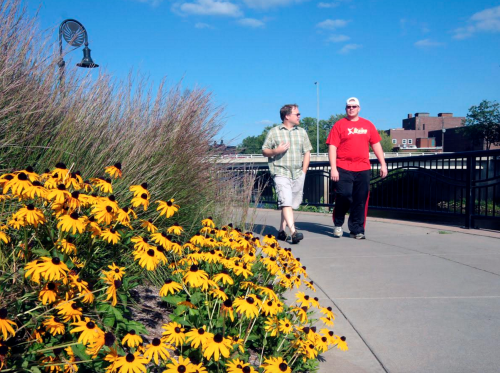 Luckily, the Chippewa Valley is full of free fun that’ll get you out of the house and won’t put a dent in your pocketbook. You can explore the Chippewa Valley Museum in Carson Park (free of charge) every Tuesday from 5-8pm through Labor Day. 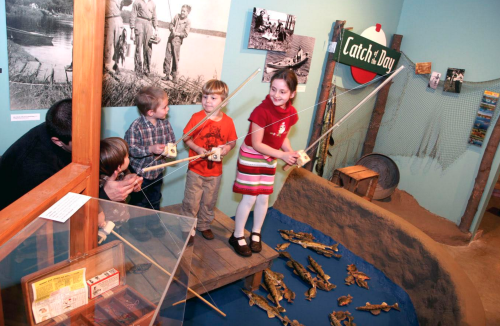 From interactive exhibits where you can catch “fish” to historic buildings, farm machinery, and fascinating videos, the museum has something for everyone. If you have a few bucks to spare, there’s an old-fashioned ice cream parlor with reasonable prices and adorable ambiance. Dominoes anybody? Grab a couple of board games, pack some sandwiches and water bottles, and head out to your favorite local park. While the kids are burning off energy on the playground equipment, Mom and Dad can get comfy on a blanket in the shade and have a mini-date! Enjoy the downtown buzz of Phoenix Park, the multitude of activities at Carson Park, or the natural beauty of streams, pond, and lakeside views at Rod and Gun Park. Want to check out someplace new? Check out Chippewa Valley Family magazine’s Map of Play (chippewavalleyfamily.org/play) for ideas. If you’re visiting town, the L.E. 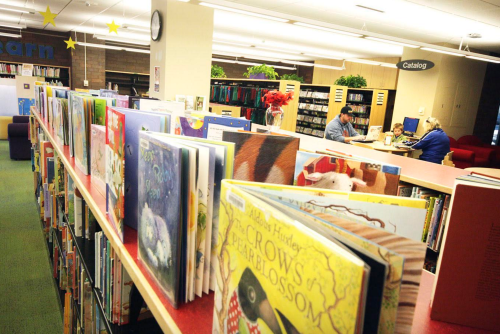 Phillips Memorial Public Library on Eau Claire Street is a cool oasis of relaxation. There are books (of course! ), computers, a free art gallery with rotating exhibits, a truly awesome children’s section, and free Wi-Fi. If you’re a local, register for the Summer Reading Program and you’ll enjoy everything from story times to family comedy performances and jugglers! The library even offers free bus passes (valid on Tuesdays and Thursdays) for children who participate in the program. Learn more at ecpubliclibrary.info. 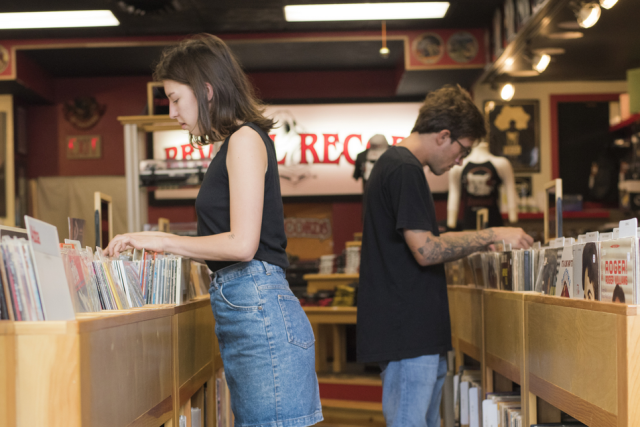 It doesn’t matter if you’re young, old, or somewhere in between – there’s just something about good music that hits you right in the soul and makes the whole day better. And let’s be honest, if that happiness also happens to be FREE, it’s all the better. 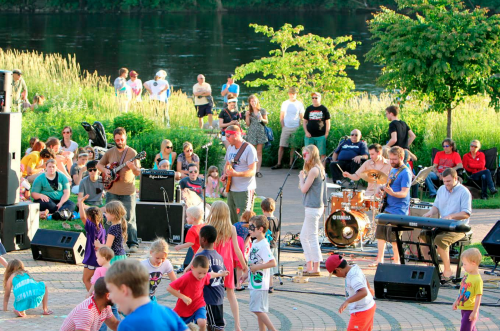 Most communities in the Chippewa Valley have at least one free concert each season, but many of them have weekly concerts. In Eau Claire, for example, the Sarge Boyd Bandshell at Owen Park hosts Tuesday Night Blues (on Tuesday evenings, naturally) and the Eau Claire Municipal Band on Wednesdays; on Thursday evenings, hundreds of people gather in Phoenix Park for the festive atmosphere of the Sounds Like Summer Concert Series. Check out the Ultimate Summer Bucket List at chippewavalleyfamily.org/bucketlist for an entire listing of free concerts. Just click on “Dance like no one is watching,” then pick a concert and do just that!